Get your Spring Festival started with a big bang! 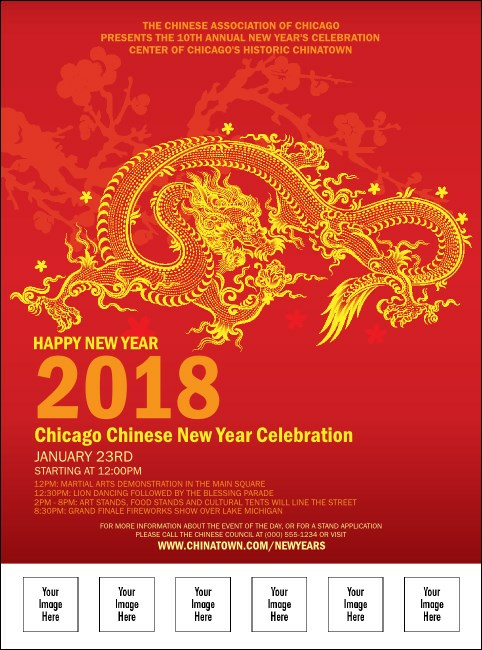 This Chinese New Year Flyer, featuring a wise and splendid red and yellow dragon dancing through the air, resembles a classic paper cut and includes space for you to upload six custom images, so you can honor speakers, dancers, sponsors, or other worthy guests. Find a year's worth of happiness at TicketPrinting.com.